Pete Levin Films: Private Cast & Crew Screening of "I'm Scared"
Back on the afternoon of Saturday, September 19th, we had a private screening of I'm Scared for cast, crew, and friends of the movie. We squeezed in two screenings at the incredible Cinefamily theater in Los Angeles. 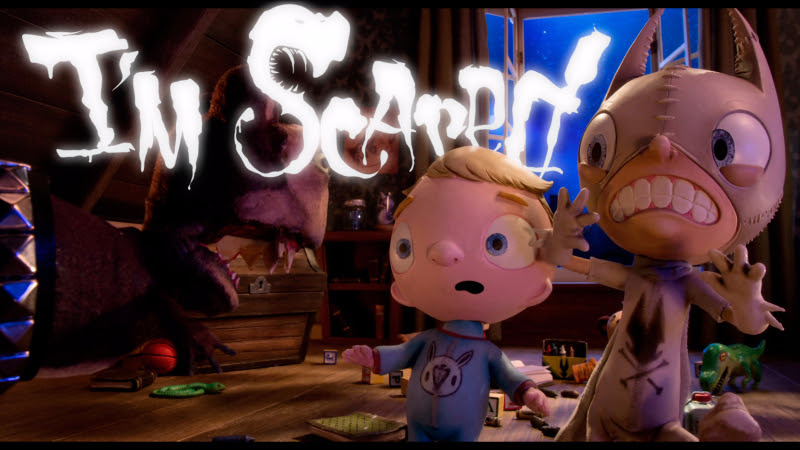 I'm Scared is a short animated film I recently directed. It's base on the art of Greg "Craola" Simkins, featuring music by Mark Hoppus of Blink-182, starring Gunnar Sizemore, and produced by Dan Levy, Musa Brooker, and myself. So many ridiculously talented people helped out on this. Check out the imdb page here for the full credits. Attendees at the event had a great time and there was a really positive reaction from the audience. While we'd love to put the short online for everyone to see immediately, first we're applying to film festivals, looking for a strategic place to premiere publicly. Special thanks to Cinefamily for hosting the event, Boo's Philly Cheesesteaks for catering, Ahmed Best for moderating the Q&A sessions, and Megan Hallo for creating some really fun "life-size" Ralf costumes.